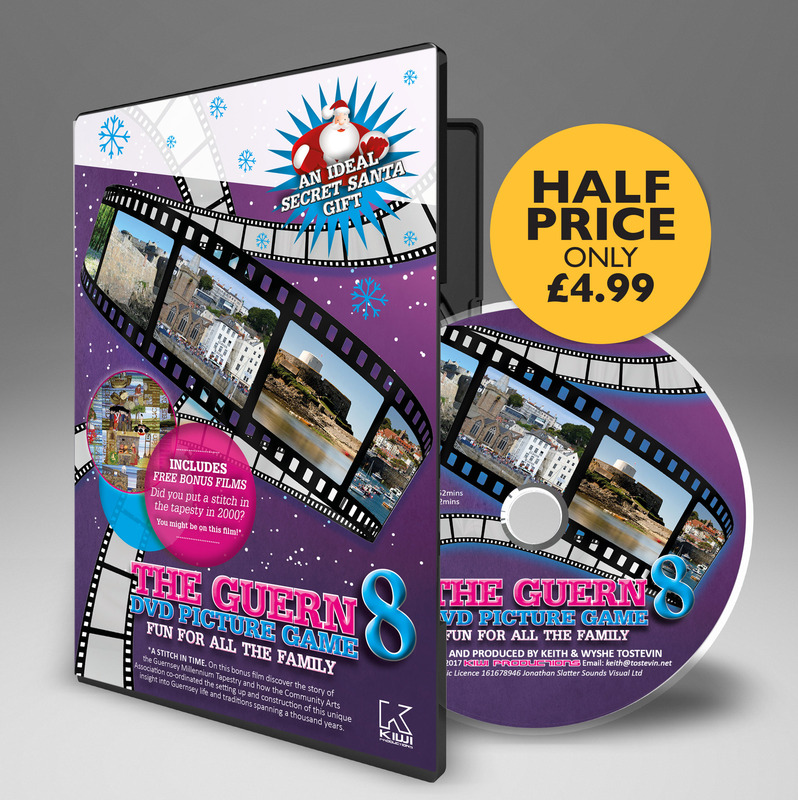 Victor Hugo is well known locally as a world renowned literary genuis and for his exile from his beloved France spent in his second home, Guernsey. However we’ve gathered together some rather less known factoids – or Hugoids as we like to call them. Whilst writing Les Misérables Hugo developed an unusual technique to cure writers block – he had his valet hide his clothes and wrote naked so he could not wander from the task. He worked on Les Misérables for many years, beginning work on it in the 1840s but not finishing it until 1862, so how much of that time he spent naked we will never know. Hugo was a foot fetishist. And he wasn’t alone in the world of great writers in being fond of feet – Dostoevsky, Goethe, George du Maurier, and F. Scott Fitzgerald were also podophiles (we’ve had to be careful with the spelling there). Hugo claimed he made love to his wife nine times on their wedding night. He recorded this amzing feat in his diary – which he kept compulsively –throughout his life. The most popular novel among soldiers in the American Civil War was Victor Hugo’s Les Misérables. Published in 1862, the book had begun to appear in the US in an English translation before that year was out, and was a huge hit among soldiers fighting in the conflict. Les Misérables was originally something of a critical flop. Now widely regarded as Hugo’s masterpiece, the novel sold well but met with mostly negative reviews when first published. The New York Times, which praised the novel as ‘remarkable’ and ‘brilliant’, also went on to call Hugo ‘a prosy madman’. Les Misérables has a sentence that is 823 words long, separated by 93 commas and 51 semicolons. When Les Misérables was first published in 1862, Hugo sent a snappish telegram to his publisher to ask how it was selling. The whole thing read, ‘?’ The publisher’s reply was effusive, ‘! Hugo began, completed or published the majority of the works for which he is best known whilst living in Guernsey, in particular ‘Les Contemplations’ (1856), ‘Les Misérables’ (1862), ‘La Legende des siecles’ (1877), ‘William Shakespeare’ (1864), ‘Les Chansons des rues et des bois’ (1865), ‘Les Travailleurs de la mer’ (1866), ‘L’Homme qui rit’ (1869), and ‘Quatre-Vingt-Treize’ (1874). 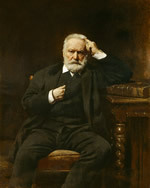 Hugo completed many of his most famous works whilst in exile from France in Guernsey. He fell in love with both the Island and the people, so much so that he wrote an entire novel in dedication to his adopted home, “Les Travailleurs de la Mer” – The Toilers of the Sea. Here is his dedication ………..
Pleinmont Watch House wasthe setting of the famous haunted house in Victor Hugo’s classic book Les Travailleurs de la Mer (Toilers of the Sea). The watch-house was built in 1780 as part of a chain of signalling and observation posts. It was demolished during the Occupation by the German forces because of its proximity, and therefore potential obstruction, to the nearby 22cm gun emplacements at Batterie Dollmann. 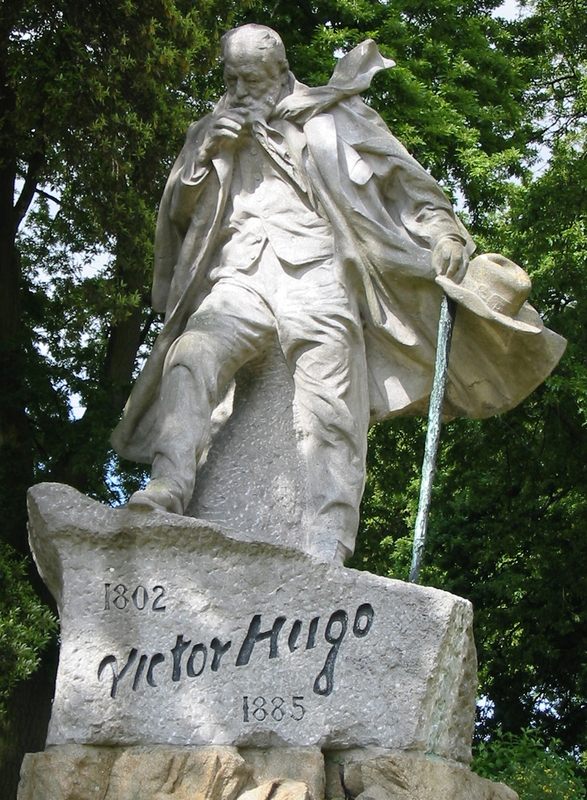 The Statue of Victor Hugo in Candie Gardens was unveiled on 7th July 1914. The statue was made around 1913 for the Soctete Victor Hugo and was purchased by the French government for 30,000 francs (£1,291). The statue was shipped to Guernsey and was transported from the harbour to Candie Gardens on a trolley pulled by a steamroller where it still stands today. It is mounted on a block of Guernsey granite carved by local stonemasons. Victor Hugo used to write standing up. In his Guernsey home in Hauteville House where he wrote in the “Crystal Room”. A room at the top of this rather eclectic house with panoramic views across the ever-changing capital St Peter Port, out to sea and across to his homeland, France.